Following the success of the popular Sigelei 50W, 100W, and 150W box mods, Sigelei enters the temperature control market with the release of the Sigelei 75W. The Sigelei 75W can fire up to 75 watts and fire atomizers as low as 0.05 ohm when using the temperature control mode! 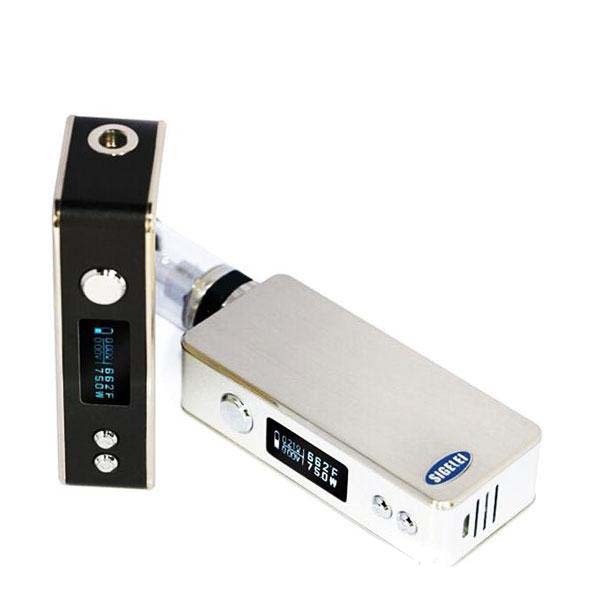 The Sigelei 75 features a sturdy aluminum alloy construction and a spring loaded 510 contact pin as well.